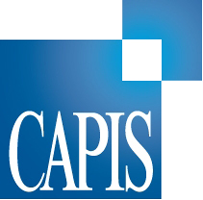 Morning Note -3/22/19 | Morning Note | Capital Institutional Services, Inc.
IPOs on deck This Week: Levi Strauss went public this week and Lyft is up next week. Other IPOS scheduled for this week 8i Enterprises, Alight Inc, Insurance Acquisition and failed to get out of the gate this week. Secondaries on deck: HRZN of note. Convertible or Senior Notes on Deck: CHGG of note. IPO Filings Announced After The Close: Turning Point Therapeutics filed today to go public. Announcements For Secondary Filings & Financings: HRZN common stock offering. PKI LPIfiles mixed shelf offering. The Navy awards General Dynamics (GD) a contract worth $470 million. Assets at LPL Financial (LPLA) rose 2.2% in February to $676 billion from January. C.H. Robinson (CHRW) CFO Andrew Clarke to depart on March 31st. The EU leaders gave U.K. only two week extension not three months. Arch Capital (ACGL) announces that John Pasquesi will succeed Constantine Iordanou. e.l.f. Beauty (ELF) names Mandy Fields CFO as of April 22nd. Gamestop (GME) names George Sherman as CEO as of April 15th. PulteGroup (PHM) names John Chadwick to COO as of April 1st. U.S. futures: S&P -17, Dow Jones -175.00, NDX -39 and Russell 2000 -12.40 with fair values LOWER LESSENING THE PAIN. Asia mixed and Europe lower, click through for details by country. Gold and silver higher with copper lower. WTI Crude and Brent Oil Futures lower. Natural Gas is lower. $ is higher vs Euro, lower vs. Pound and lower vs. Yen. US 10 year Treasury price $123.70 from $123.52 with yields lower since Thursday morning with the yield at 2.492% from 2.517%. Prices as of 8:15 a.m. EST. Top Sectors Thursday: All lead by Consumer Goods, Technology, Services and Industrials. Monday Before The Open: CMCM WGO YRD. Five Things You Need To Know To Start Your Day. (Bloomberg) Markets mixed. Earnings and economic data. We are changing the comments on the various moving averages to a table. The Russell 2000 moved back above its 5, 10 and 20 day moving average and the Dow moved above its 5 and 20 day moving averages. Yesterday saw 2078 stocks rise and 798 fall on the NYSE. NASDAQ saw 1902 rise and 1175 fall. The QPI10 Day Moving Average of Breadth (10DMA) is back to invested on the open from cash this morning. For a move to cash from buy, the 10DMA needed to have two days in row below -200 which happened on the close of March 8th. We are back to a buy with Thursday’s action as our 10 day moving average is above +200 for a second day. YTD 83% of stocks are higher and 17% are lower. Updated 3/15/19 close with next update on 3/22/19 close. The Erlanger Value Lines track the intraday range of resistance, pivot and support. Each day we show where we closed within the range. Yesterday all indexes above resistance. President Trump heads to Palm Beach for the weekend. Varex Imagaing (VREX) to acquire 90% of Direct Conversion AB. Spark Networks (LOV) to buy Zoosk for $225 million. Winners: HIBB +11%, DNR +6%.